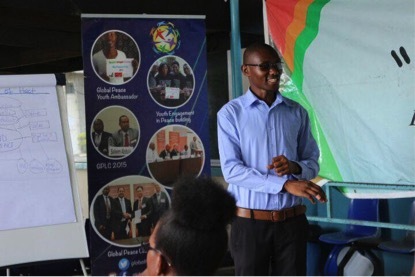 Thirty-seven young leaders developed their moral and innovative leadership capacities at a one-day workshop hosted by Global Peace Foundation (GPF) Tanzania. Featured community leaders addressed the theme, “Moral and innovative leadership for peace and development,” at the training program held on March 25 at Tandale Youth Development Center, emphasizing the topics of responsible citizenship, service and interreligious and intercultural collaboration. GPF Tanzania is taking proactive measures to educate and support young leaders with moral and innovative leadership capacities through such training workshops in an effort to counter rising violent extremism among the youth of many African countries. The young leaders were encouraged to become models of peaceful leaders in their own communities by maintaining a disciplined lifestyle, displaying responsible citizenship not only legally, but also both in their social and moral obligations. As model citizens for their country, young people have the influence to inspire not only other residents of their same country, but also youth from around the world. The messages shared at the youth leadership development program proved to motivate many of the participants, including Nasra Kiwamba, who reflected, “I am so thankful to be part of this useful training. I promise to utilize the knowledge gained.” Nasra is a student at the Tandale Youth Development Center. The youth empowerment workshop is part of GPF Tanzania’s Vijana Na Amani (Youth for Peace) Campaign. 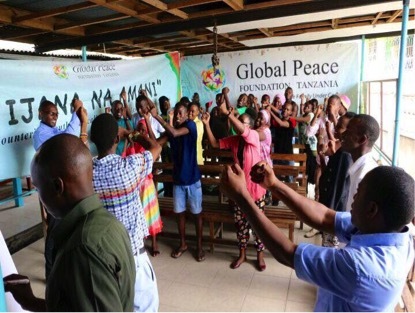 Through ongoing workshops on education, leadership and entrepreneurship in communities and universities, GPF Tanzania strives to raise peace ambassadors to counter youth radicalization and violent extremism.